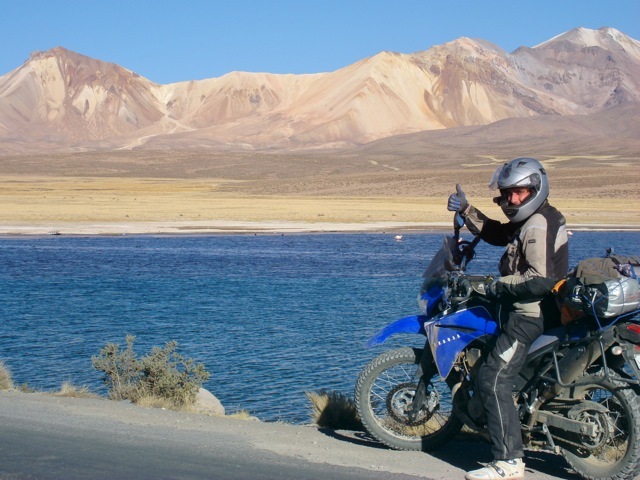 Self-Guided "Fly & Ride the 3 Corners: Argentina, Bolivia & Chile"
Contact Eric Today About Your Self-Guided RIDE Through the Three Corners! 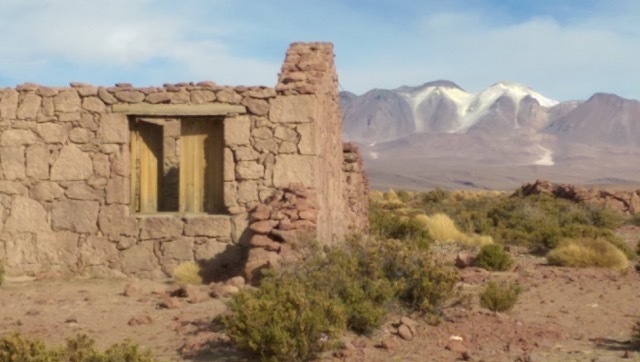 San Pedro de Atacama, with it's nearby geological phenomenon is a town like no other. Outside of town, you'll see the Valley of the Moon, Tatio Geysers, and indigenous ruins, and numerous other rock formations and salt flats. The Salar de Uyuni (Uyuni Salt Flats) is the largest natural salt flat in the world, bringing new meaning to "the open road.” Spanning 4,086 square miles, see a few "islands" in the middle, and stay in a hotel made entirely from salt. Argentine Wine Country, and the beauty surrounding it is loaded with amazing rock and mountain formations. The "Throat of the Devil," and "Hill of 7 Colors" in Purmamarca are all part of the experience. Weather: Start & finish this trip at lower altitudes with nice, warm weather. Climbing to elevation in the Andes Mountains, most mornings will be quite cool, but afternoons should be warm and comfortable. 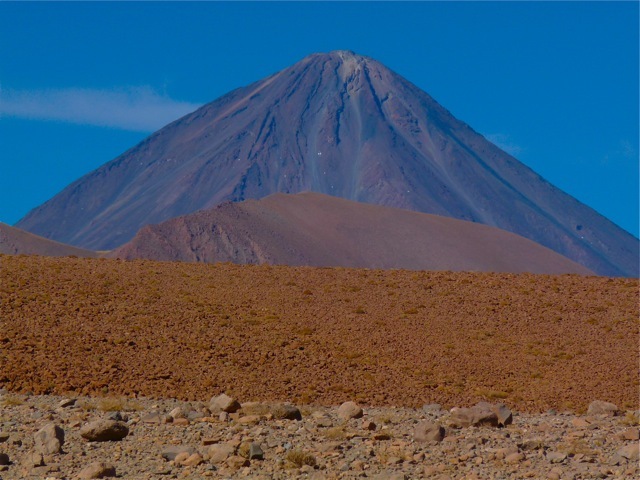 The Atacama Desert is very dry, and between May and September, chances of rain should be very small. Any non-mentioned item or service as "included"
"The ride was very good, thank you! The service we received in Osorno was perfectly on par with expectations and the ride itself (to the north of Argentina and through Paso de San Francisco) was a great adventure." 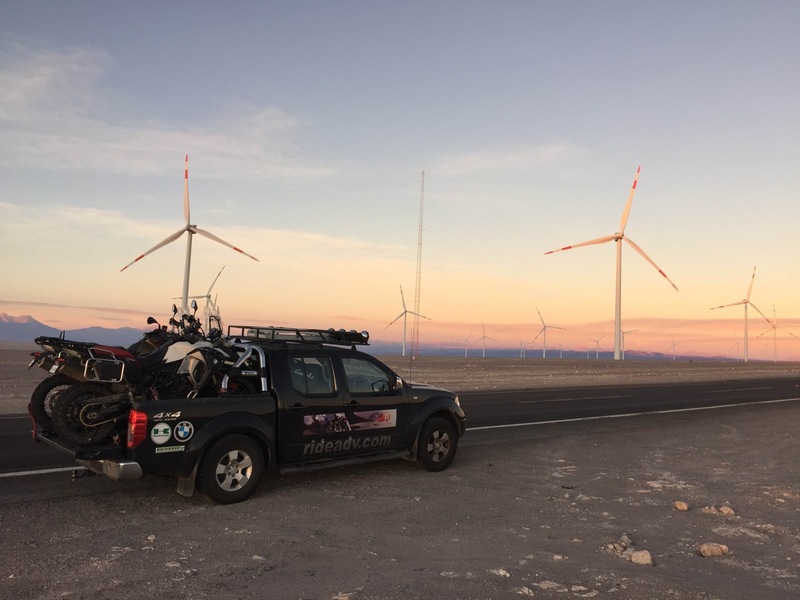 -Szymon Pura from Poland after he used our motorcycle rentals in Chile to do some exploration in the open expanses up north. Great riding up there as well! 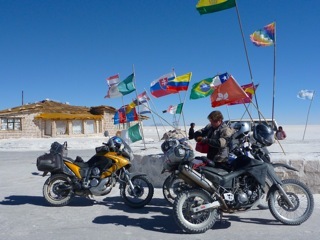 -Fernando Carneiro from Brazil, after his group's Northern Chile trip on BMW motorcycle rentals we provided. Glad you enjoyed the service and riding adventure, Fernando! 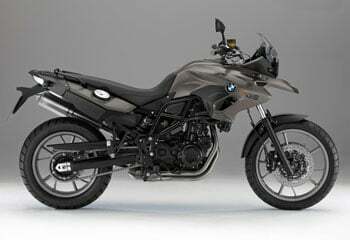 -Paulo Godoy, also from the same Brazilian group renting BMW R1200GS's in Chile. Vê-lo novamente, amigos! 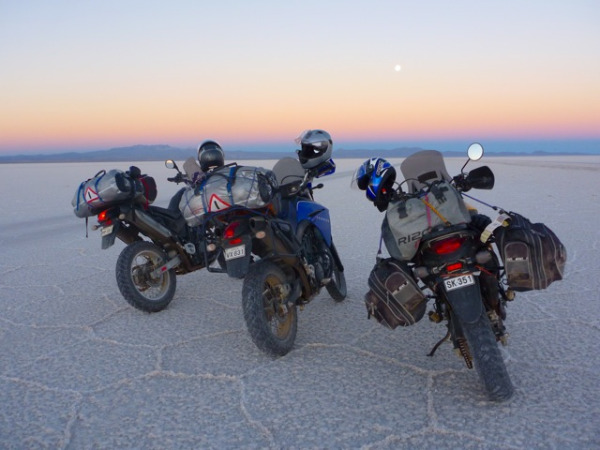 The Altiplano Region of the Andes Mountains, the Atacama Desert, or "Driest Desert in the World," and the "3 Corners" of Argentina, Bolivia, and Chile have been rising in popularity amongst our adventure riding Customers. All for very good reasons! 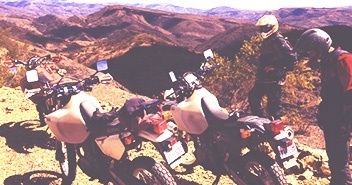 One of the most mysterious regions in the world just begs for exploration of it's landscapes by motorcycle. Fascinating cultures and traditions, wide open spaces, and some of the most beautifully natural scenic riding in all of the Andes Mountains awaits us in this Altiplano (high plains) region. As you cross borders with Argentina, Bolivia and Chile, the suble differences indicating each country's political and economic status can be felt. Also notice the appearance differences in the indigenous people of the region, as you climb from the Pacific Ocean up into the Altiplano of the Andes. The word "raw" might best describe the rugged beauty riders will encounter in this part of the world. 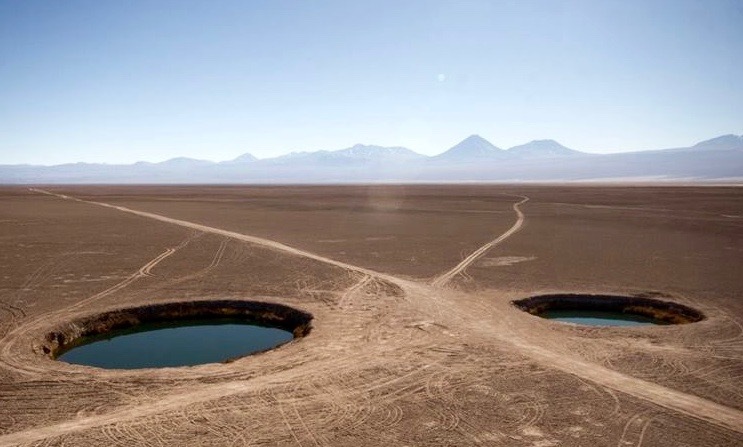 Riding through southwestern Bolivia, northwestern Argentina, and the San Pedro de Atacama area of Chile brings an array of scenery that at times will almost seen unnatural, as most of us just can't believe that these sites and formations exist naturally. Don't worry if your camera runs out of storage or battery on trips like this, as the sites you'll encounter will remain a vivid part of any adventure riders heard and mind forever. Hopefully you've arrived with some extra time to enjoy Chile's capital city of Santiago before heading north for the start of your RIDE Adventures. Either way, welcome to Chile! 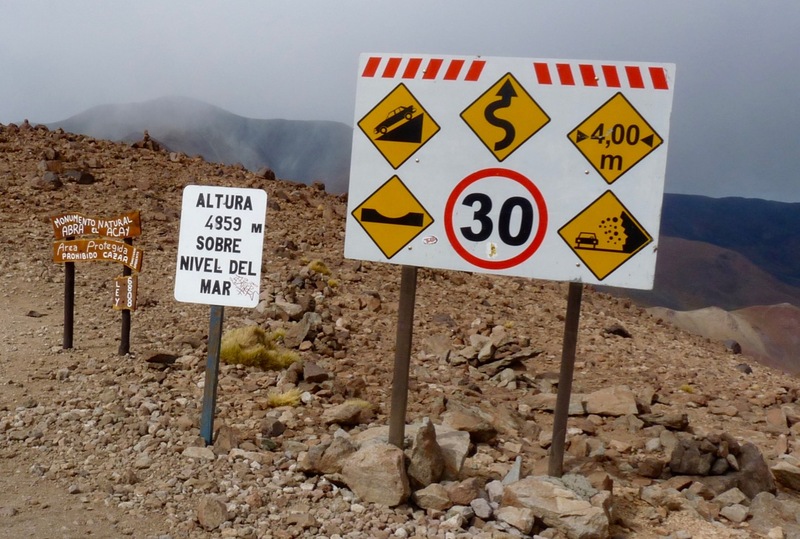 Regardless of your pre-trip plans, make sure you're in Antofagasta this Day 1 before the riding starts, and hopefully take the opportunity to explore this city that thrives on copper and other nearby mining operations. 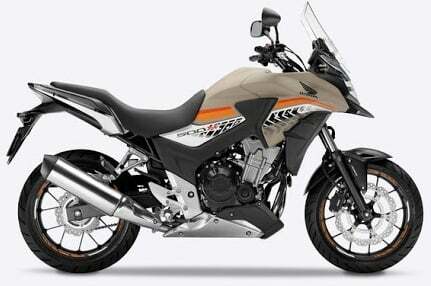 Most riders will get checked in to their motorcycle rental of choice today (included in the package) but remember keep your adrenaline and excitement under control, as this is one big adventure ride ahead! 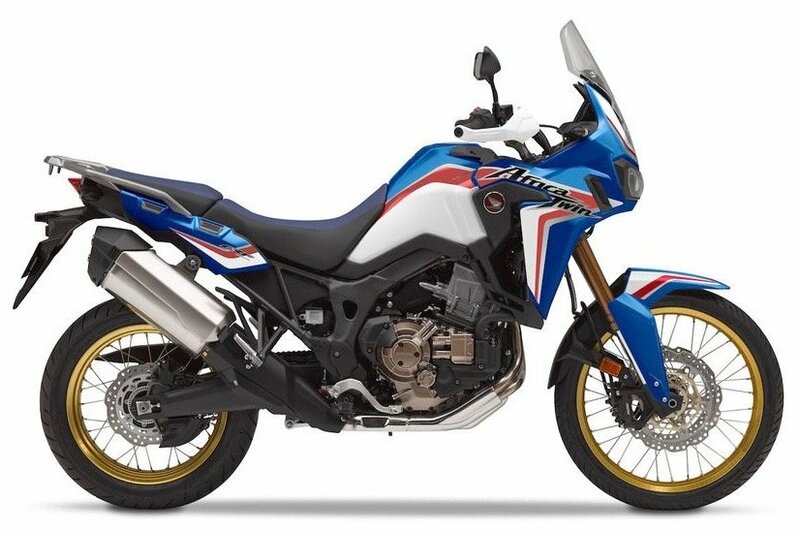 Having been properly introduced to the motorcycle of your choice, and after all questions are answered, it's time to start riding into the Andes Mountains of South America! 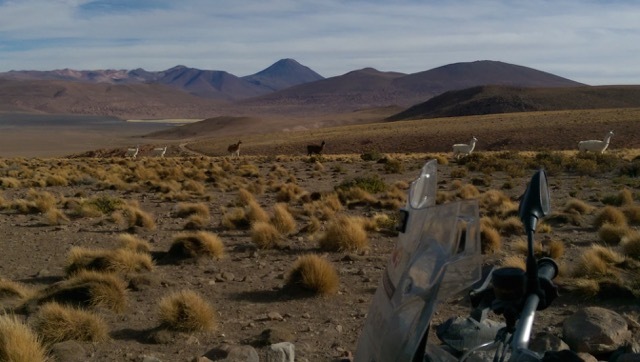 As this ride rises from the Pacific Ocean through the Atacama Desert and into the Andes, you're experiencing first-hand what the driest desert in the world like. The nearby "Mano del Desierto" (Hand of the Desert) has been a fixture in adventure riding photography for years now, and makes for a fun start to this trip. With some of the clearest skies on planet earth, San Pedro is home to the A.L.M.A. Observatory (Atacama Large Millimieter Array) for reasons of altitude and low moisture content in the atmosphere. To Adventure Riders, this means some of the bluest skies you'll ever see will lead you into this town full of other geological phenomenon. Crossing a salt flat with views of Andean Flamingos and Volcano Licancabur at 5858 meters nearby, all makes for a 1st day's ride never to be forgotten. 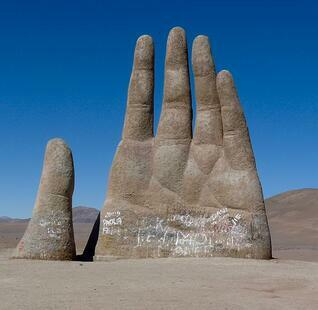 Welcome to the Atacama Desert! This small town with so much too offer would be a shame to blaze through, so this day is devoted to local exploration of geological phenomenon. The Tatio Geysers, the Valley of the Moon, nearby Salt Flats, Rainbow Valley, ALL are sites too great to miss, so enjoy it all beneath that bright blue sky before settling back into this tiny Andean village for the night. Plenty of shopping for local arts & crafts would also be a good idea here. 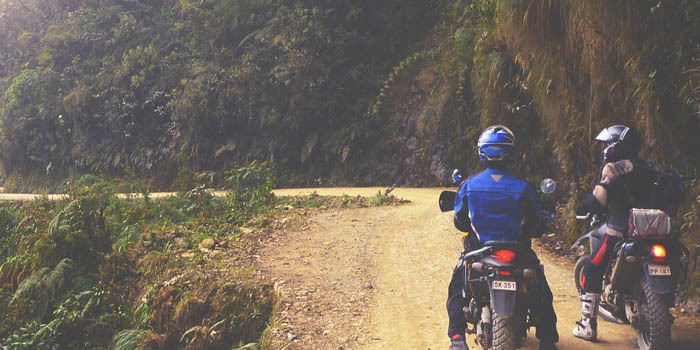 Feel free to say it out loud in your helmet: "I'm riding in Bolivia. I'm riding a motorcycle ... IN BOLIVIA!" The excitement of riding in a country as rarely traveled as Bolivia cannot be understated, as this mysterious yet beautiful land-locked country still has yet to reach its tourism potential. (Such would be true for Argentina and Chile for that matter.) Alas, today's ride to even higher elevations is gradual so that riders can adjust to the altitude while capturing photos of the amazing Andean colors and formation along the way. With the Salar de Uyuni (Uyuni Salt Flats) in the distance, the day's ride ends at the edge of this vast landscape to spend 2 nights in a hotel made entirely of salt. The floors, foundation, walls, and furniture, are all hand-carved from the same flats that you get to ride on tomorrow. 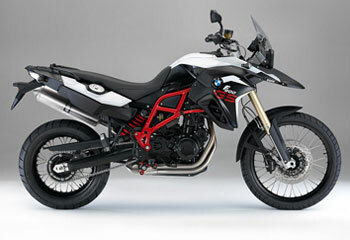 "Wide Open Spaces + Motorcycles = Endless Possibilities," right? The World's Largest Salt Flat awaits the twist of your throttle, and the snap of your camera. A ride out to the Isla Incahuasi and Isla del Pescado, and the Tunupa Volcano further north brings a sensation like no other, as the "nothingness" in all directions seems surreal. 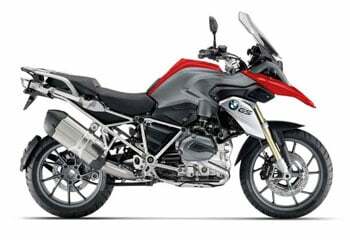 Watch out as you ride though, as cracks and potholes in the otherwise flat salt pan are definitely present, and can gobble-up a rider who is getting carried away with it all. Returning back after a fun day of exploring and trick photography, the same salt-made hotel set you up for more incredible riding ahead. One of the most stunning rides in all of Latin America will take up the morning hours, as the ride slithers through an amazing array of colorful rock formations and scenery so incredible that it seems artificial. (Out of respect for the Tail of the Dragon in North Carolina, we're lovingly calling this set of twistiies "The Tail of the Alpaca.") The day's ride passes through the UNESCO World Heritage Site of Potosí for a lunch stop, and depending on progress this day, a tour down the rail cars into the silver mines that made this town famous is possible. Potosí is also one of the world's highest cities at 4,090m in altitude. 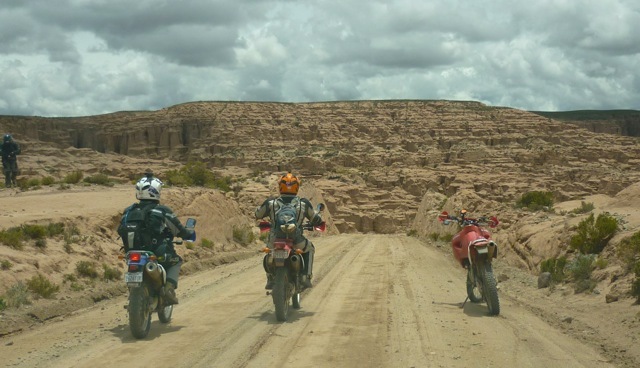 - Continuing into the afternoon, more canyon riding and red stone rock formations form a path to the town of Tupiza, just north of Argentina, and a vibrant & fun town to spend the night in. Welcome to Argentina! Leaving the unimaginable scenery of Bolivia behind means ... now we get to enjoy the stunning scenery of northern Argentina in the Andes Mountains, so it's a pretty good trade-off. Simple scenery around the border of these countries quickly gives way to more mountains, vegetation, and a bit more in the way of wildlife. Utilizing sections of the famous Ruta 40 in Argentina the ride continues through the colorful Quebrada de Humahuaca, and eventually a route we're calling "The Tail of the Llama" as a play on the Tail of the Dragon in North Carolina. This seemingly endless array twists & turns will be a welcome part of any Rider's arrival in Salta. After a night out on the town, enjoy a rolling RIDE through farmlands and agricultural regions before red stand stone formations like the "Garganta del Diablo" is within site. This "Throat of the Devil" is a must see natural arrangement, along with "El Anfiteatro" (The Theatre) and "Las Ventanas" (The Windows) will all be marked on your Road Book as sites not to be missed. Cafayate is in the heart of Argentine wine country, and as such, accommodations and dining will reflect such opportunities. Some raw, rugged, off-pavement riding awaits riders on this loop through northern Argentina and a fairly short ride to Cachi. Enjoy lunch in town, but if energy levels and your adjusting to altitude permit, head up the "Abra del Acay," which is the highest point along the Ruta 40 at 4,859m in altutude. RIDE Adventures Founder, Eric Lange, reported this ride as being one of his "3 Greatest 1-Day Rides" of all time, on the heels of living, working, and riding in South America. (See near the bottom of that blog post.) Just remember to keep your jaw from dropping as you climb this surreal route and return to Cachi for the night. Canyon riding in the Andes Mountains, and an arrival in the quaint and charming town of Purmamarca add yet another highlight day to this trip. It's a great town to check out local arts & crafts, and buy articles made from alpaca wool. When in town, be sure to do the hike around "El Cerro de Siete Colores" or the "Hill of Seven Colors." Remembering that off-bike experiences should be part of any good motorcycle trip, the views on this short walk will be well worth the effort. Your return to Chile over Paso Jama brings things up to 4700m in altitude, propelling yourself through an array of slithering twisties like any other. (Knee puck, anyone?) Take it easy of course, as you're still in very remote parts of the Andes Mountains with little surrounding you in the way of help. Leveling off to cross an area salt flat, even the descent down into San Pedro will be a thrill on this incredible motorcycle adventure. Settle into San Pedro perhaps to see some familiar faces, and enjoy sites or geological phenomenon you might have missed on the way up. 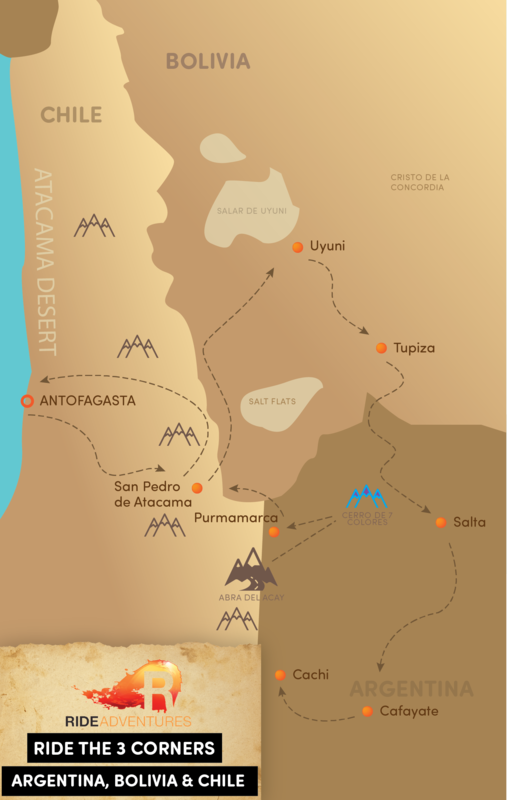 As an exciting side-note, the Dakar Rally has been held in this Atacama Desert region since the famous African race first arrived in South America in 2009. Now you can visualize the sand dunes and rugged terrain surrounding you being "raided" by hundreds of motorcycles, trucks, and racing cars and buggies! Yes, it might be a sad moment, but remember when booking this trip, that Self-Guided riders can have these trips customized to make them last much longer if they wish. While this route covered an amazing wealth of variety and stunning scenery in the Altiplano and Atacama region, much more is still out there if you tell us you have the time. Having seen any last features of San Pedro that you wish to before leaving, your descent back to Antofagasta along the Pacific Coast should at the very least, bring a sense of satisfaction. Not only because you've now experienced something few other Riders ever will, but because you're finishing....SAFELY! The riding we encounter in many parts of the Andes isn't something all riders are ready for, but if you're finishing fine, we congratulate you on a "RIDE well done!" Enjoy Antofagasta, and remember, there's a Casino in town. While you're welcome to have some extra nights booked for you in Antofagasta, and yes, this busy mining city is worth spending a day or so looking around, those who must leave today will find the Antofagasta/ANF airport easy to use, and a great place to start organizing all those photos! 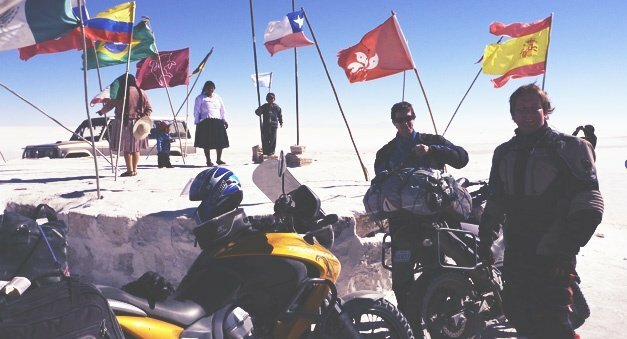 Interested in Riding Motorcycles in Bolivia & Chile?